MagicCatJenny: Get the Long Beach Funky Quaffles to the Quidditch World Cup! Get the Long Beach Funky Quaffles to the Quidditch World Cup! 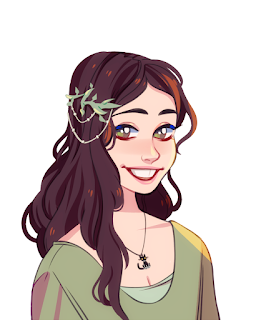 My wonderful (and talented) friend Hannah is on a Quidditch team, The Long Beach Funky Quaffles, and they have qualified for the Quiddich World Cup this year! 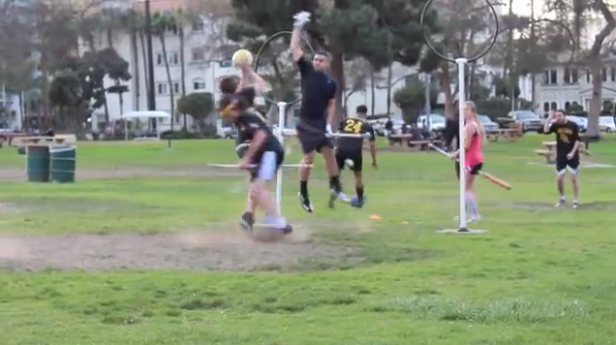 (Yes muggles people actually play a version of Quidditch from the Harry Potter series. Yes they hold a World Cup every year. Still with me? Good.) It's not being held in California this year so they need a travel fund, that's where you (maybe) come in. I have also helped out by designing some cute Quidditch themed buttons! At the $2 donation level you'll receive the Funky Quaffles logo button and at the $6 level you'll receive the three Quidditch buttons I've drawn. The first is a broom, quaffle, and two bludgers, the second is the hoops, and the third is the snitch. It would be so great if you helped out the team and got some awesome Harry Potter stuff at the same time! (There's also music, a Funky Quaffles "Fairweather Friend", and even a Nimbus 2000!!!) Just click HERE to go to the donation page. Thanks everyone!